This is one area where those wire type shelves come in super handy. All I use are regular pant hangers. They have a fuzzy strip in the inside so I haven’t noticed them leaving any markings on my boots at all. So easy and fairly inexpensive compared to products specifically made for boot storage. In this case this space was really unusable before because of the heating vent you see. I didn’t want to cover it up so hanging up my books lets me utilize and maximize this space. It all comes down to solving problems doesn’t it. I needed somewhere for my boots and sometimes it’s just a matter of getting creative with the space to make it work. Don’t be afraid to think outside the box and use what you already have. Also because I’ve made this my boot area, it provides me with a limit to how many pairs of boots I can own. 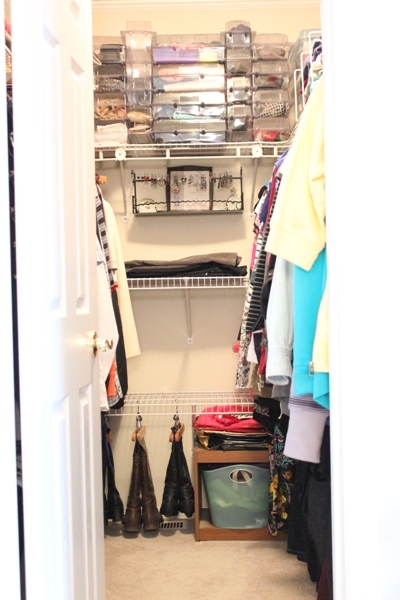 If I don’t have a defined space, I may be tempted to over purchase leading to an overstuffed closet. Now I know that if I buy a new pair of boots, I will have to make room for them by getting rid of pair. It really changes the way I look at things when I shop which is so super helpful. Don’t forget to follow me on Facebook, Twitter or Instagram. 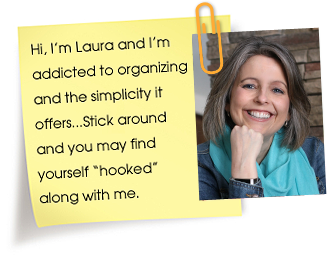 You can also subscribe to get my blog updates emailed to you here. To see all the posts in this series click on the picture below. 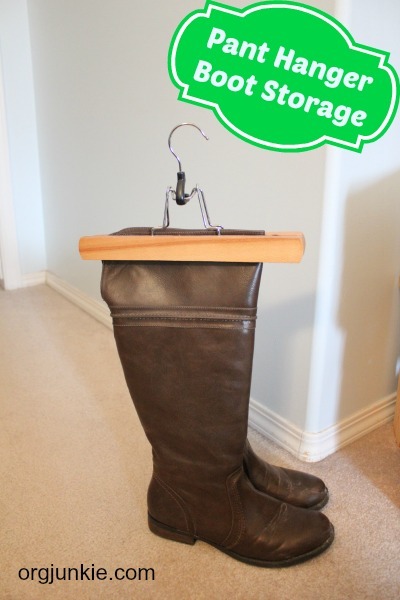 I love this idea for storing boots! Such a great idea! I’m need to buy me some more hangers. Great idea. Your closet is set up a lot like mine. I even keep my jewelry in there like you! Lovely! So easy, too. How much are the hangers? I will have to purchase just one, as I have only one pair of boots but this gets me thinking about purchasing another pair, as mine are black and I will be needing a brown pair. Of course, in Canada they keep your feet toasty. Here in the south they are primarily for fashion! You would be surprised how many of us southerners even wear our Ugs when the temps are in the 50’s or even 60’s just because! They are super comfy!! I use this method for hanging my boots (will line the inside of my hangers though) but I have one pair of boots that has a higher top at the front than the back so these don’t work. Any ideas???? What a clever idea! It is wonderful to see a everyday used items that is repurposed into something else. Thanks for sharing. Nice Closet and cool ideas! We are moving into a new place and I am trying to figure out how to organize with either shelves/small dresses/etc. I love what you have done with your closet. Would you mind sharing your closet size?? It’s about 5.5 feet by 8 feet. Thanks for the great closet ideas. 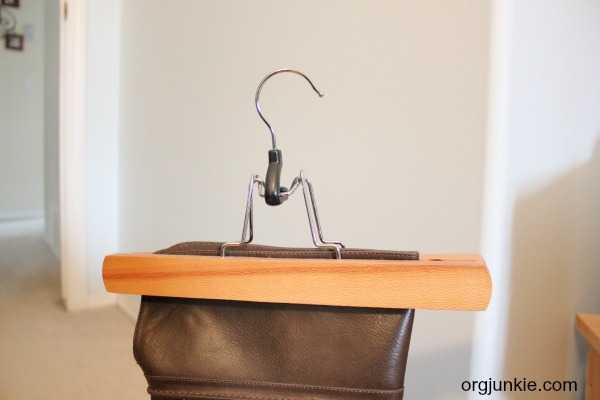 Where can I buy the hangers in UK for hanging boots? I’m sorry Roma, I’m not sure. Not only a brilliant use of space, but your boots must dry quickly too!